Ministry Team – Age Division Teams, Family Life Stage Teams, etc. Department/Campus – Missions, Worship, Ministry & Discipleship, etc. Level – Support Staff, Ministry Staff, Senior Staff, etc. 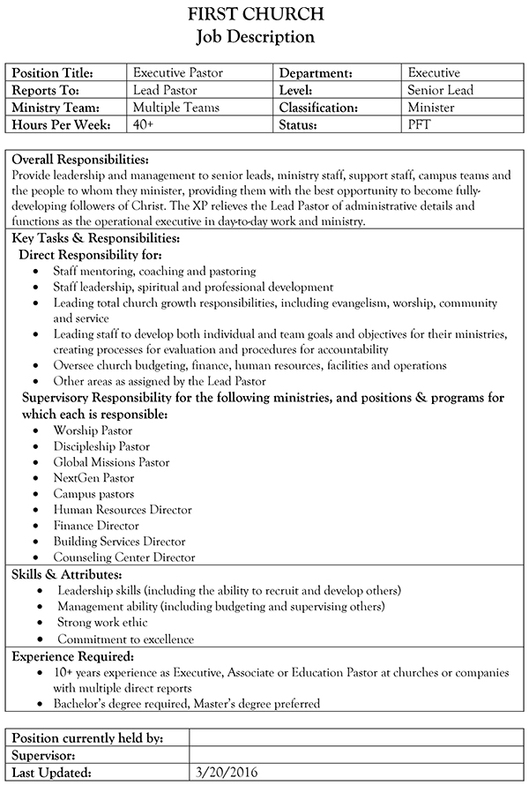 Classification – Ministry Assistant, Associate, Director, Minister, etc. 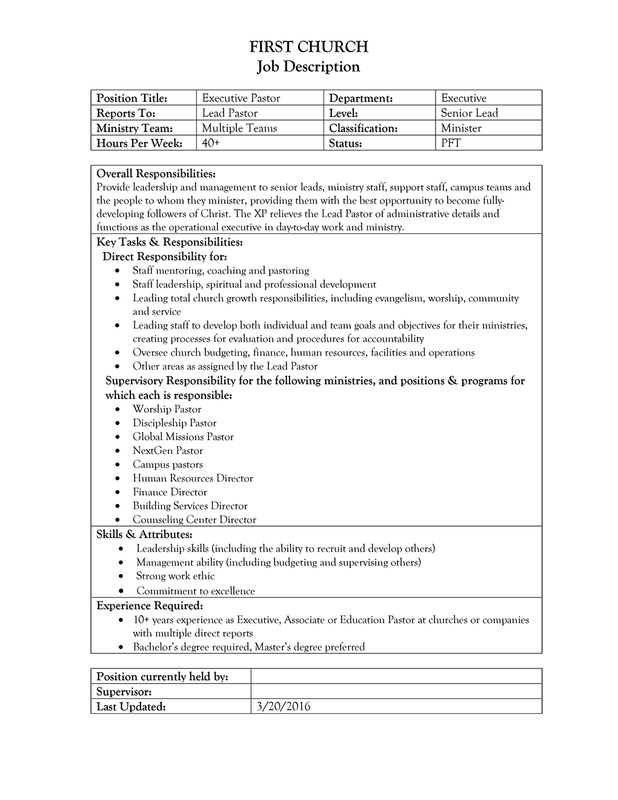 Status – Permanent Part-Time (PPT), Permanent Full-Time (PFT), etc.